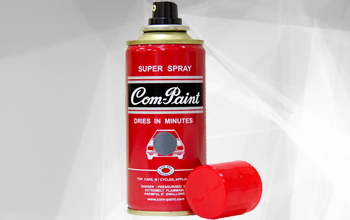 We are Authorised Dealer, Distributor and Supplier of Multi - Purpose Spray Paint and our set up is situated in Aurangabad, Maharashtra, India. Com-Paint delivers twice the coverage as other competitive brands. It has ultimate hiding power allowing projects to be completed quickly.